Udupi, Feb 17, 2017 : Depressed over Mother’s death, son ends life by jumping into well in compound premises Udyavara. The incident came to light on February 17, Friday. The deceased is identified as Ujwal(30). He is survived by Father and two brothers. It is learnt that Rajashree who was working as sweeper died as she accidentally fell from the first floor of the building yesterday. 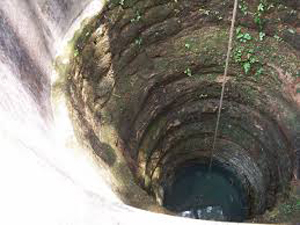 His son was depressed over her death news he ended life by jumping into well present in the compound of his house in in Bolje, Udyavar. As He was not found anywhere they went in search of him but effort went in vain. Today morning found his body floating in the well. Udupi police are investigation the case. Tragic incident . May the almighty give courage to the family to fight back the pain.